I’ve been wanting to visit Portland for several years now, and I finally got the chance when we went out to Manzanita for my cousin-in-law’s wedding. The city has so much to offer, and in the short time we were there, we just didn’t have the time to see it all. I mean, how can you see it all in a city with so many nicknames? 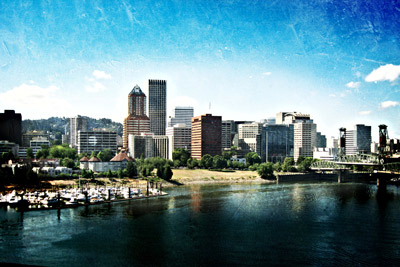 It’s know as beervana, stumptown, Soccer City USA, bridgetown, and (the city’s official nickname) The City of Roses. “Beervana” is certainly apt — I have never seen so many different breweries in one city before…then again, I’ve never seen so many amazing restaurants in such close proximity to each other anywhere else, with the possible exception of San Francisco. Stumptown is more reflective of Portland’s heritage as a lumber town. Soccer City USA is clear enough given the Portland Timbers’ upcoming upgrade to an MLS team, and “bridgetown” is clear to anyone who has drive through the city and seen its many bridges. The City of Roses, well, I don’t know that I saw many roses…but I did manage to visit another very different kind of garden. 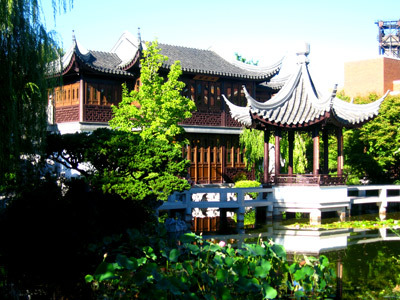 The Lan Su Chinese Garden is located in the heart of the trendy Pearl District in downtown Portland. It’s a small but impeccably maintained classical Chinese garden, complete with indoor and outdoor spaces, sculptural art, running water, traditional Chinese furniture and architecture, intricate wood carvings, and other beautiful examples of Chinese cultural heritage. The staff was courteous and helpful, and indulged my friend’s interest in trees by giving him a list of all the different trees living in the garden. It was a small space of peaceful quiet set right in the middle of the hustle and bustle of city life, and it was really amazing. Everyone raves about the Japanese gardens just outside of town, but I’m not disappointed I didn’t make it out there because the Lan Su Chinese Garden was worth seeing. 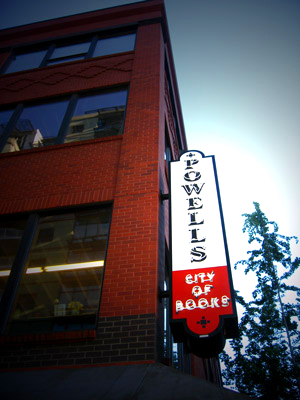 Of course, another Portland must-see is Powell’s City of Books (the flagship store located in the Pearl District of downtown Portland). Truth be told, when I opened the post by saying I’d been dreaming of coming to Portland for several years, I really meant I’d been fantasizing about going to Powell’s. When I was hard at work on my teaching credential and my first master’s degree back in 2004, one of my instructors told the eager soon-to-be English teachers all about Powell’s, and I’ve been salivating over it ever since. After six years of build-up, I was concerned that the massive independent bookstore wouldn’t be able to live up to my expectations. My concerns were for naught. Powell’s was amazing! It was HUGE, taking up an entire city block and standing four stories tall, and it was incredible. 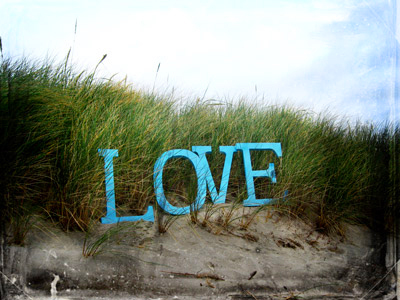 If I could live there, I think I would. 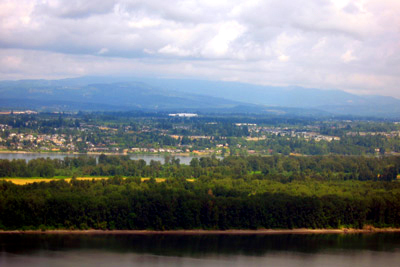 That goes for the rest of Portland as well: if I could live there, I would. It’s just so beautiful. There are mountains and rivers right there in the city, and there are more mountains, more rivers, and the wonderful Pacific Ocean within driving distance. The airport was also a really nice airport, which would make travel easy. It was airy and clean, and (best of all) had two mini-branches of Powell’s right there in the terminals. Who can pass that up? This little seaside town was adorable! 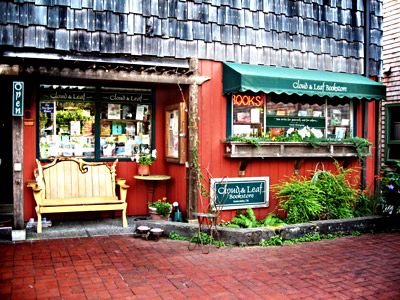 Aside from the fact that it had two amazing independently owned bookstores (the Cloud & Leaf Bookstore, pictured below, and Ekahni Books) — really wonderful little shops — Manzanita had some great restaurants, a good yarn shop, a jam-packed general store, several art galleries, and a beautiful picture-perfect beach. That beach…wow! I grew up in Southern California, so I’ve never seen a beach with so much sand (very fine sand at that — just ask my poor point-and-click camera, which I dropped face-down in the super-fine sand) between the road and the ocean. There’s so much beach to walk on, which is good because the ocean was freezing. Well, okay, not freezing…but really cold for someone wimpy like me. Wetsuit-cold, actually, as evidenced by the large number of wetsuit-clad kite boarders enjoying the waters on what turned out to be ridiculously sunny days. The beach was also windy, but mostly just gorgeous. 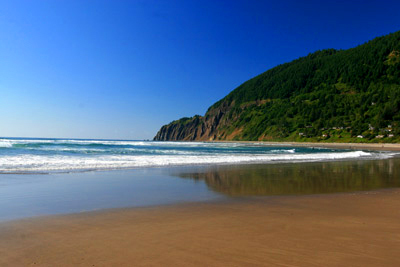 I was in Manzanita because my cousin-in-law was getting married (hence the final photo, below), and I’m glad I had the opportunity to discover this hidden gem. I’ll admit to being surprised by how much Manzanita has to offer its visitors. I wasn’t expecting much, because I’ve seen some pretty small towns while living in Ohio, but Manzanita was small without being boring. It was a wonderful place to visit, and one that I would certainly return to if I had the chance.